ValueWalk, February 7, 2016, VW Staff - Super Bowl 50: What Motivates Millions Of Americans To Watch? With just five days left until the Carolina Panthers and Denver Broncos face off in Super Bowl 50, a new survey of approximately 1,200 investors from Spectrem Group’s Millionaire Corner reveals some interesting differences by gender, age and political party behind why viewers watch America’s iconic sporting event. 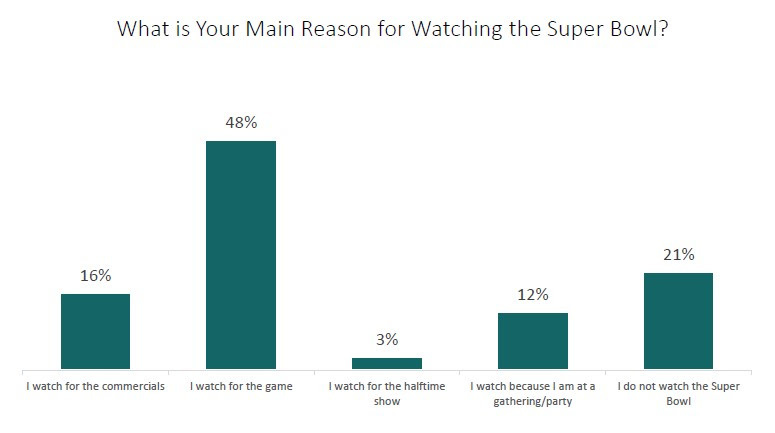 While nearly half of respondents (48%) say their main reason for watching the Super Bowl is to see the game, this rises to nearly 60% among Republicans (56%). By contrast, just 39% of Democrats indicate they watch the Super Bowl for the game and more than a quarter (26%) don’t watch the Super Bowl at all. Roughly six in ten men (61%) say they watch for the game. By contrast, women responded twice as often as men that they watch for the commercials (24% for women, 11% for men). At 18%, Democrats also outpaced Republicans (16%) and Independents (15%) in saying they watch the Super Bowl for the commercials. For charts and a full summary of the latest Investor Pulse data, to discuss data more breakdowns by wealth, age or marital status, or to schedule an interview with Cathy McBreen, president of Millionaire Corner, contact Brad Wilks at brad@wilksgrp.com 708-434-5006. Investor Pulse from Spectrem’s Millionaire Corner is fielded each month to approximately 1,200 investors. A set of questions, which changes monthly, is asked regarding interesting topical issues. The resulting research is analyzed and segmented by: age, gender, household net worth, retirement plan ownership, occupation, investment risk tolerance, marital status, investment knowledge, household income. Spectrem’s Millionaire Corner conducts the survey through an online panel and specifically targets selected wealth segments. The survey is completed by the person primarily responsible for making the day-to-day financial decisions within the household. Millionaire Corner is an independent online resource for investors and about investors. With its Best Financial Advisors service, investors are able to search for financial and investment advisors to assist in growing their wealth.